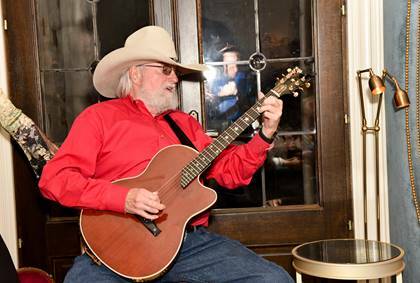 The Shepherd’s Men hosted a fundraiser celebration with country music icon Charlie Daniels and The Journey Home Project to raise awareness and funds for the SHARE Military Initiative at the Shepherd Center in Atlanta. This innovative program provides intensive rehabilitation to treat America’s veteran heroes affected by hidden injuries of post-9/11 wars, including mild to moderate brain injury and post-traumatic stress. The lives of more than 550 veterans and their families have been transformed by the program, www.shepherd.org/share.